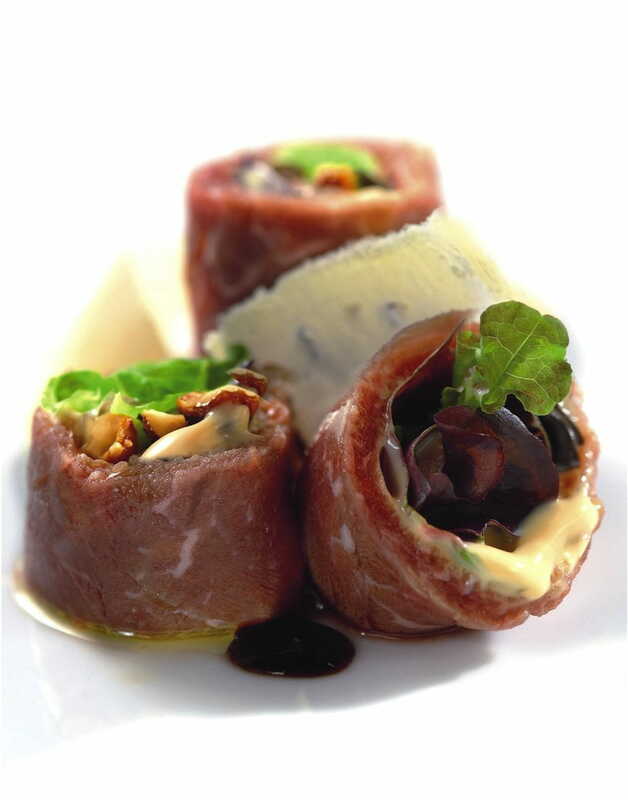 Spread the Foie gras with Black Truffle Imperia sauce over the carpaccio, then add the lettuces and caramel-coated almonds and roll up like a cannelloni. Cut to pieces so that the layers are visible. Garnish with vinegar reduction and parmesan flakes.